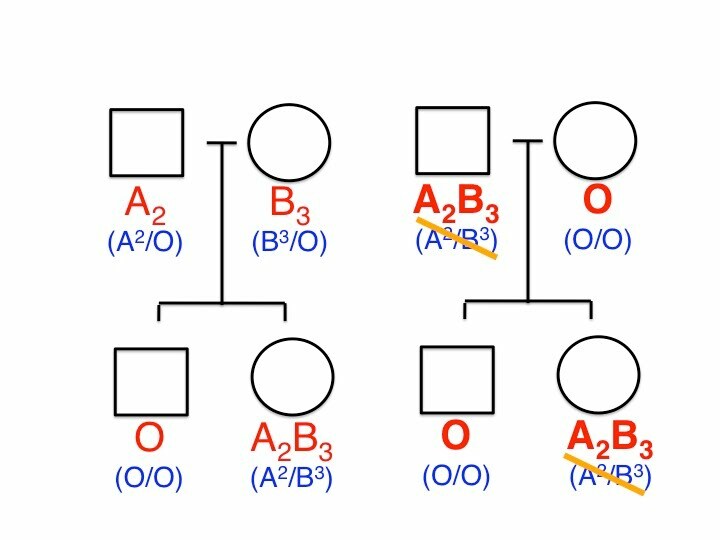 ABO BLOOD GROUP SYSTEM LECTURE SLIDE 026: If ...., there is a contradiction in the inheritance of the alleles. A father of A2/B3 cannot have a son with the O blood group. A mother of O/O cannot have a daughter with the A2B3 blood group, either.